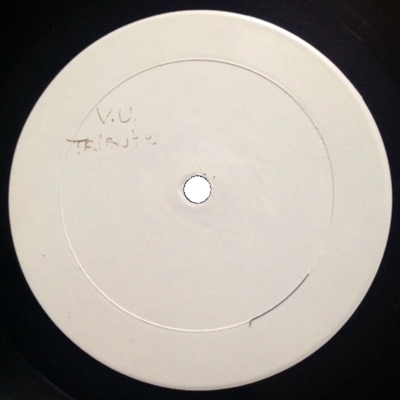 White label test pressing. 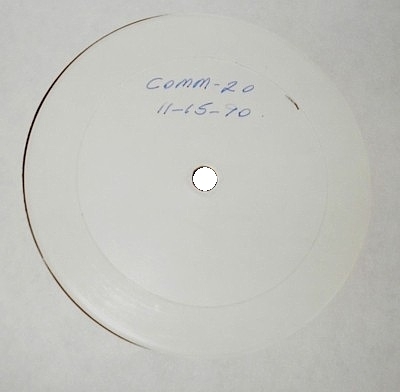 The lacquers were cut by Michael Sarsfield at Frankford Wayne Mastering Labs in New York City, and the records were pressed by Alberti Records in California. Alberti shut down in 2001 due to bankruptcy. Two copies have been found. 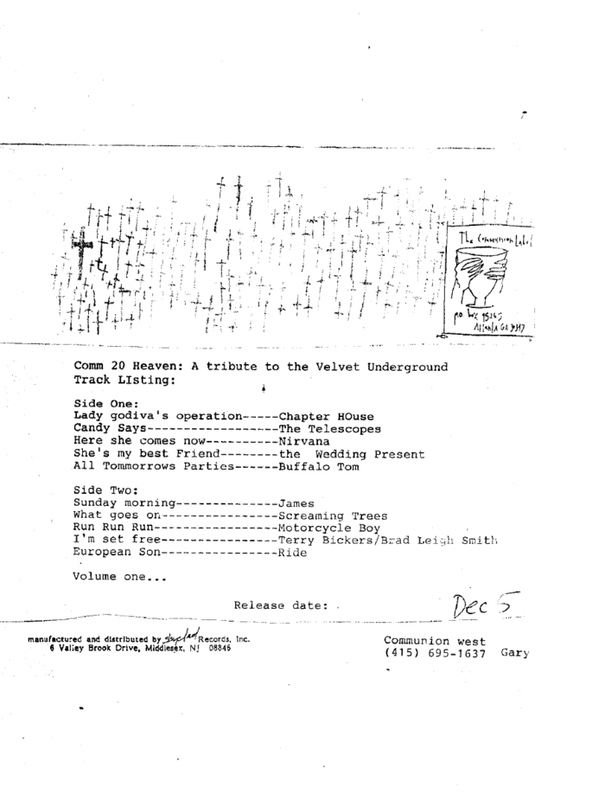 Copy 1 came with a handwritten date and catalog number on the label, and was probably a reference copy kept by the pressing plant. Copy 2 has "V.U. TRiBute" written on the label, and came with a release sheet from the distributor, Skyclad Records. It may have been used as a promo or to presell the release to retailers. The name in the lower right corner refers to Gary Held, also known as Fergus Latham in the Here She Comes Now liner notes, who was Communion's representative in the western USA at the time.